The desert is alive! 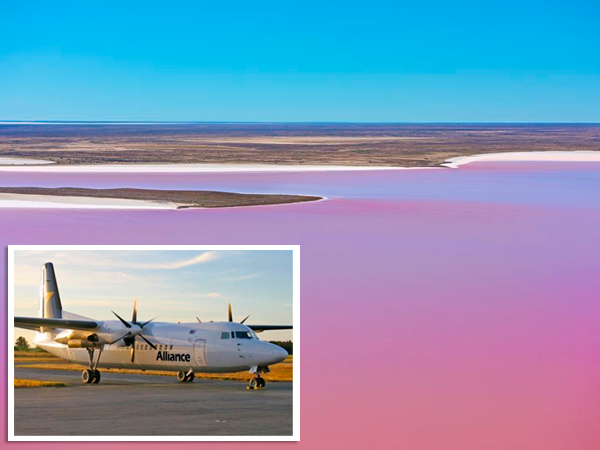 Join us on a unique one day flight opportunity to experience one of Australia’s most amazing sights – when the arid lands of Lake Eyre are transformed into a beautiful oasis! Join us to experience one of Australia’s most amazing sights as our massive inland river systems flood! As these waters make their way slowly to Lake Eyre – Kati Thanda, take a rare opportunity to fly with us to witness this incredible sight. 2019 is shaping up to be one of the inland’s wettest years since 1974. Our special one day flight direct from Adelaide will take you over the picturesque Flinders Ranges, Copper Creek, Coongie Lakes & to the iconic Birdsville Pub for a great BBQ lunch! We fly over the Diamantina River, the Goyder Lagoon and over the slowly filling Lake Eyre – an incredible day’s sightseeing! Our 50 seater aircraft is high-winged to offer the best availability, with just 2 seats on each side of the aisle and toilet facilities onboard. Your guide for the tour is Joe Ahern, an experienced & popular award-winning Outback celebrity – the perfect tour manager!